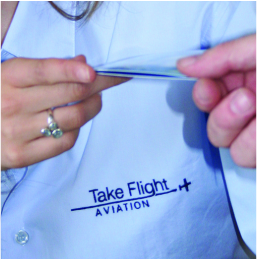 Take Flight prides itself on not being 'just another flying school'. The school hopes that you will be a member as a pilot's licence holder longer than you will be a PPL student, so values its students and PPL members equally. As a member you'll have access to our modern ground facility, a variety of instructors and a fleet of smart, well maintained aircraft. One of the most important aspects of your training as a student is to have a good rapport with your instructor. We have a carefully chosen team of full and part-time freelance instructors, we only pick the very best and we try to match you with an instructor best-suited to your personality, as well as your time and availability constraints. Once you have found your perfect instructor you'll normally keep them for the whole course. WHAT IS A PRIVATE PILOTS LICENCE (PPL) AND HOW DO I GET ONE? If you wish to fly light aircraft then you will need to obtain a Private Pilot License, or PPL. 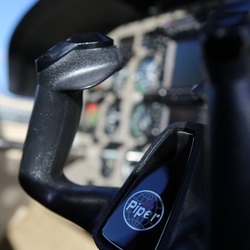 A PPL enables the holder to act as the pilot in command of certain kinds of aircraft. The training for a PPL usually takes between 45 and 60 hours, depending on the trainees previous experience and frequency of lessons. A minimum of 45 hours is required to apply for a licence of which at least 25 are dual hours of training with an instructor and at least 10 supervised solo (which includes at least 5 hours of cross country flight). The practical side of the training can be generally broken down into three different areas of learning; general handling exercises, circuit flying and navigation. As well as the practical side of PPL training, there are also written examinations that must be completed. The trainee will need to be well informed on how to fly the aircraft, communication in the air, understanding the weather, among other subjects. Anyone over the age of 17, with a good bill of health and good eyesight, with or without glasses can apply for their PPL. You can start logging hours at 14 and solo at 16. See our PPL guide or get in touch.